In my second time to South Korea, I visited Busan and Jeju Island. I had 5 full days for the trip. My first two days was spent in Busan. I explored the city and some nearby attractions. I was able to sightsee the city. My two days in Busan includes a visit to a Buddhist Temple and a popular beach. I also joined a night tour and visited a mural village. My second visit to South Korea was a solo trip once again. I went to some of the tourist attractions on my own but most part of the trip were group tours, which I got from KKDay. I actually had no time to create a day-by-day itinerary so joining tours offered by KKDay were convenient for me. There are several interesting activities to choose from. I had a limited time to get around so I opted for a Busan Night View Tour on my second night and Dynamic Busan Tour in Gadeok Island on my second day. 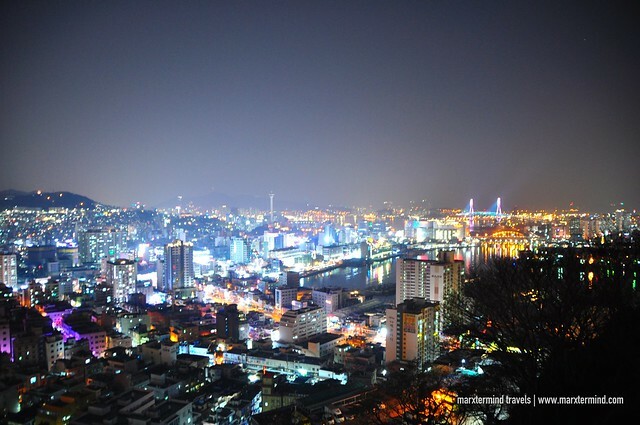 The western route for the Busan Night View Tour is one of the popular tours to join. The tour begins at 6:00 PM and last for three hours. The meet up place for the tour was at Exit 4 of Busan subway station. Too shy to say this but I arrived a couple minutes late. I didn’t realize that Busan Subway Station was too far from where I was staying. Good thing though that I have a Line account where I was able to contact our tour guide telling that I will be late for a couple of minutes. Well, I ran as quickly as I could from the time I alighted from the bus going to the meet up place. I was glad that I made it. This was our first stop. It’s one of my favorite attractions in Busan. This is actually the place that made me interested to join the night view tour. This is a horseracing park before. 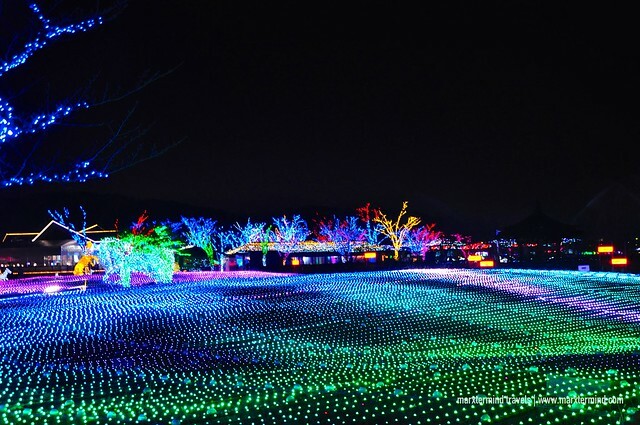 Now it became a leisure spot containing the lighting theme park. The park is huge. It was filled with several lights and lighting décor. We spent almost an hour in the area and I was amazed with the vivid colors. There are murals, lightened figures and a garden-like filled with bright lights. This is another place I was interested to visit. My first time to get to Gamcheon Culture Village was during the night view tour. I also wanted to see it during daytime so I went back the next day. 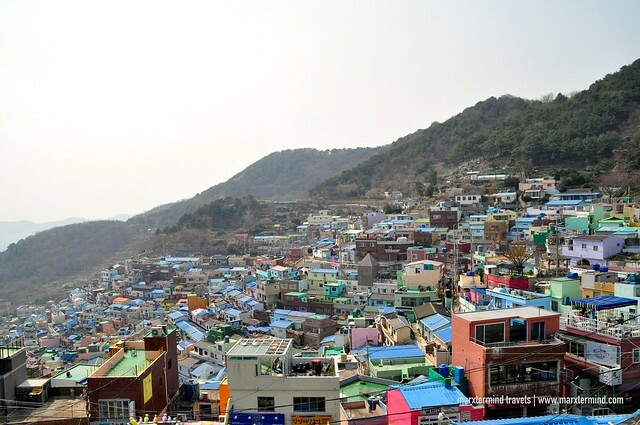 The Gamcheon Culture Village is formed by houses built in staircase-fashion on the foothills of a coastal mountain. 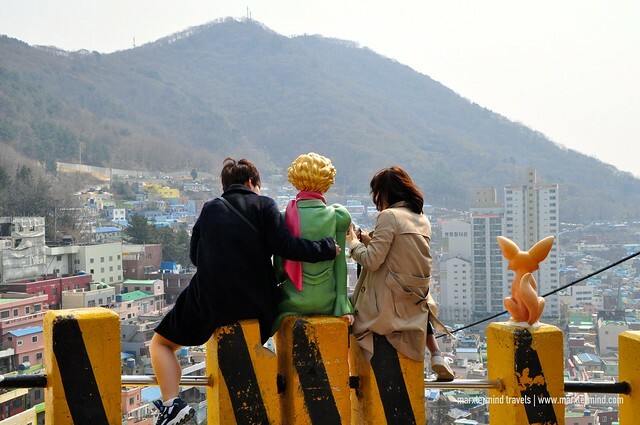 The place is known for its steep streets, winding alleys, and brightly painted houses. 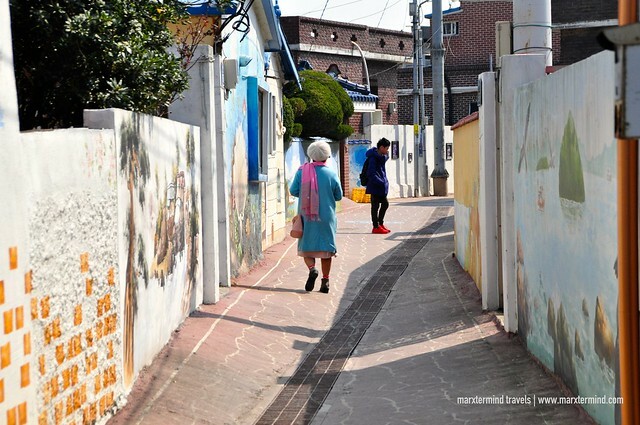 The several alleys cutting through this community are colorfully decorated with paintings, murals and sculptures created by the residents. 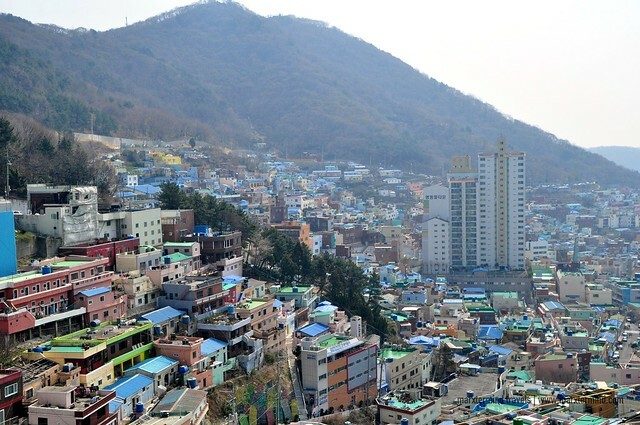 This popular attraction in Busan is a nice place to visit both by day and by night. The last part of the tour was a visit to the Cheonmasan Mountain Observatory. 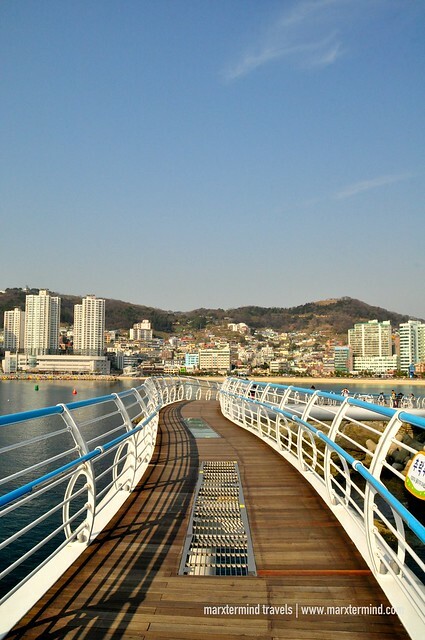 Built in 2013, the observatory offers unobstructed view of Busan Harbor. At the end of the night tour, we were given an option where to be dropped off. Choices were Bupyeong Night Market or Nampodong. Both are good places to visit at night because of shopping, night market and food. I opted for Nampodong. Nampodong is known as a central commercial and shopping area. I went around the streets and checked out some food stalls to have my late dinner. There were also many kinds of shops in the area where I also checked out if there were some interesting stuff to buy. Another local tour I joined in Busan was a trip to Gadeok Island. The highlight of this trip is visiting the Gadeokdo Mural Village. The tour happens in the morning and last for 4 hours. Meet up place was the same, which is the Exit 4 of Busan subway station. Songdo Skywalk is an elevated trail located over Songdo Beach. It 365-meter long and has a curved shape similar to a dragon. Here, tourists can enjoy the view around Songdo Beach. 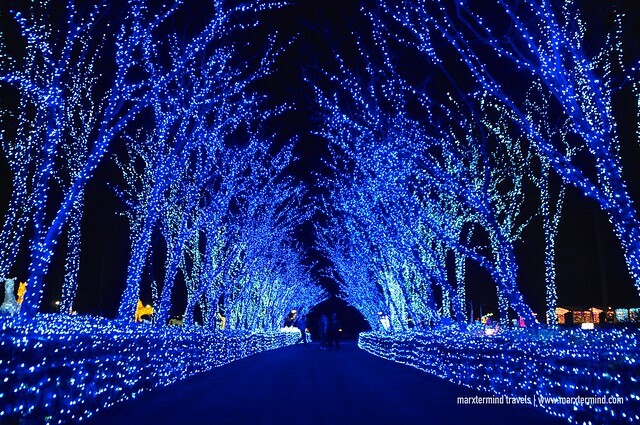 Located outside the city, the suburb of Gadeokdo is a good place to visit. If you’re a fan of murals, this is an interesting village to see. Tourists can walk on the paths and appreciate the beautiful murals. The end of the path is the sea. The little fishing village has a peaceful surrounding. I’ve also learned that watching sunset from here is pretty romantic. After the two tours I had with KKDay, I was also able to have a chance to get around the city and see some other attractions on my own. I visited Haedong Yonggungsa Temple and Haeundae Beach. There are still more other attractions and beaches to visit but too bad I ran out of time. But well, maybe next time. 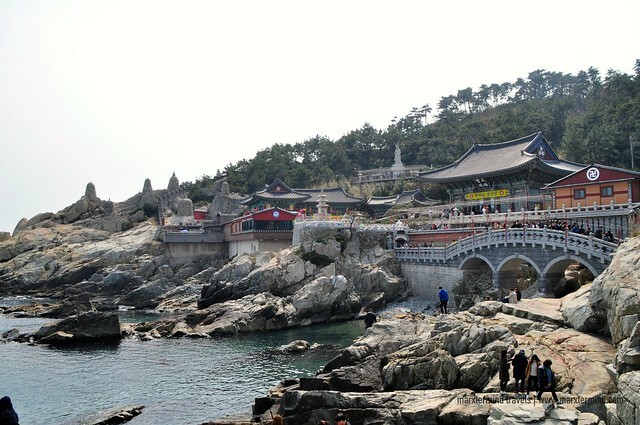 This Buddhist temple is situated on the coast of the northeastern portion of Busan. The temple complex is huge. It offers visitors a unique find of a temple along the sea. Most of the temples in Korea are in the mountains. 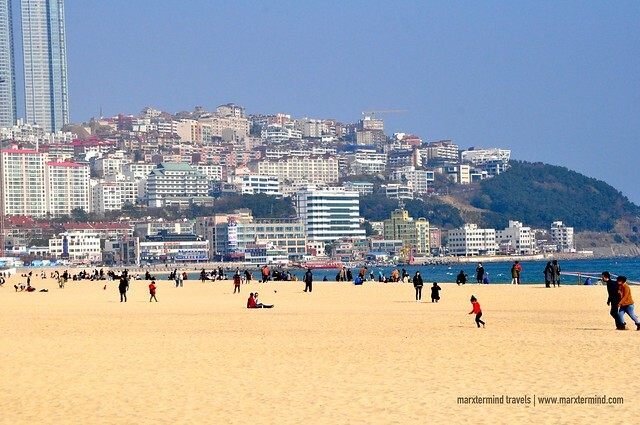 This is one of the most popular beaches in Busan. It will be a shame if I wasn’t able to visit this place since my hotel was just in the area. The beach is long with several things to do around. My first two days in Busan was tiring yet fun and fulfilling. I was able to see some interesting sites. 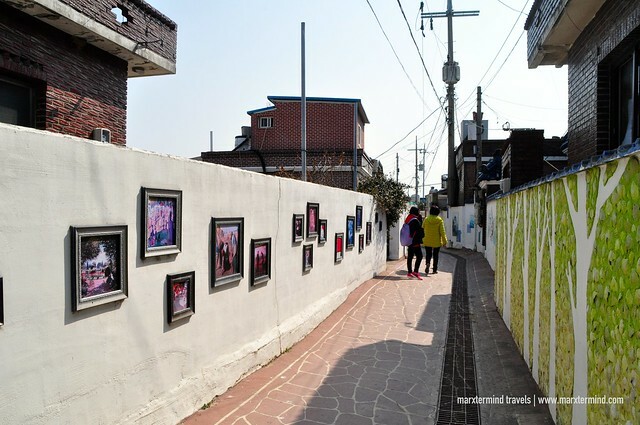 I was also glad that I joined some tours through KKDay because I got able to experience unique activities while in Busan. Explore, dream and discover with KKDay, the leading E-commerce platform allowing users to connect with the local tours from all over the world. Choose from more than 6,000 unforgettable experiences in 53 countries and 170 cities. Visit the official website of KKDay to compare tours and explore unique activities in different destinations.